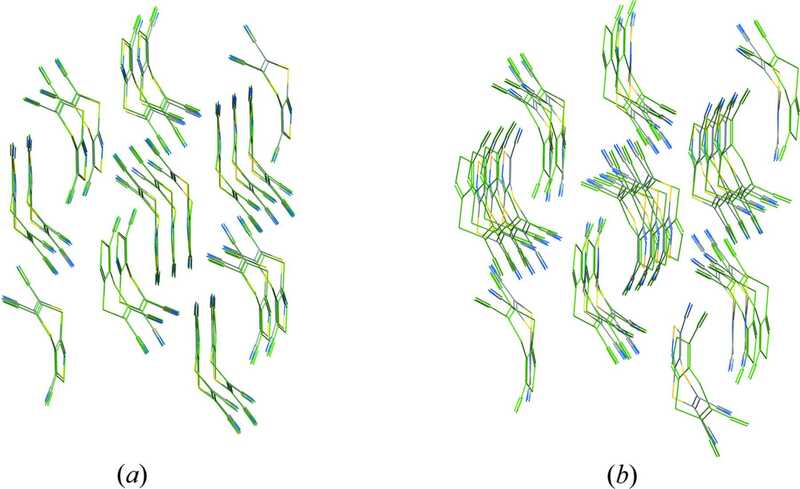 Two example overlays of the experimental crystal structure of (XXII) with predicted structures of (a) Tkatchenko et al. with an RMSD of 0.166 Å, and (b) Obata & Goto with an RMSD of 0.808 Å. The predicted structures are shown in green for clarity. 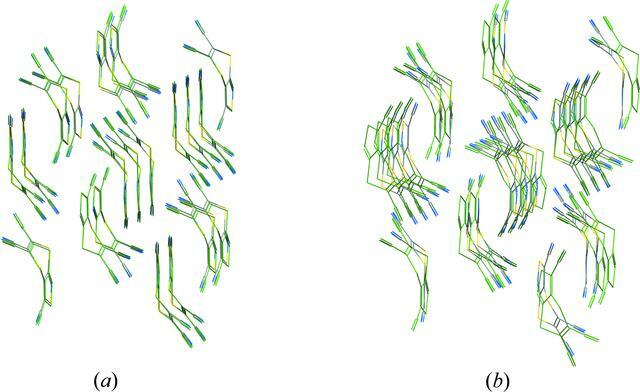 With the smaller RMSD in (a) the two structures are difficult to distinguish visually, while for the larger RMSD in (b) the predicted and experimental molecules are clearly offset.